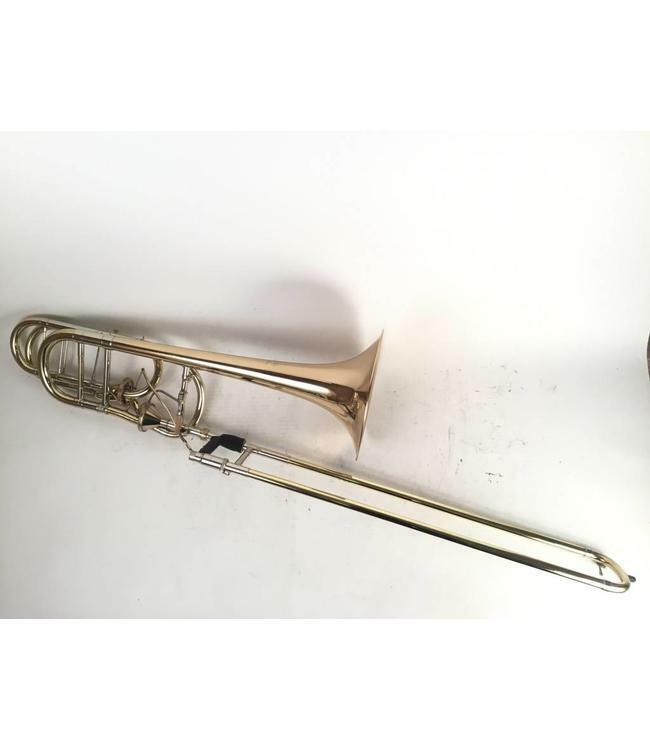 Used Bach 50BG Professional Bb/F/D Dependent Bass Trombone in lacquer with custom axial flow valves. .562" bore hand slide, dependent axial flow valve section by Chuck McAlexander with "Giardinelli Custom" stamping, 9.5" gold brass bell flare. Instrument is in good condition apart from previously repaired bell creases and scratches and lacquer wear throughout. Evidence of relacquer. Comes with case.